I kept a diary when I was a little girl. It had a little lock and key and I kept it hidden. I remember once when my brother found it and threatened to read it… not sure how I got out of that one. 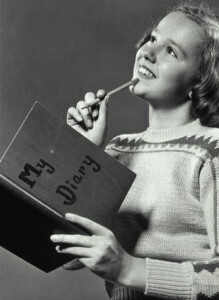 And here I am many decades later with a very public diary. 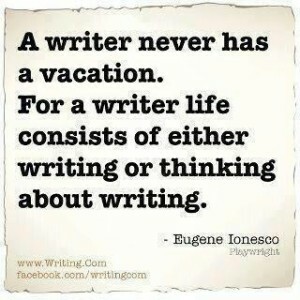 Most of the time I write things here about books, writing, editing, publishing, art, spirituality, etc. But sometimes I write about more personal things like depression, eating, drinking, addiction, and grief. Today is one of those days. Today’s post is in place of yesterday’s and tomorrow’s… because I’m feeling pretty empty right now. Just running on zero. My three-month book tour is over (until I start back up for Cherry Bomb in about six weeks) and it will be a few weeks until I get the galleys to proof for the anthology I’m editing, so I’m in a lull. I hate lulls. I tend to get a bit stir-crazy if I don’t have a project. I’m even considering starting to clean out the storage bins in the garage. As I wrote here a couple of weeks ago, I had originally planned to use these weeks to get started on a new novel. But after one false start, and reconsidering a novel I started a few years ago and put down, I’m just not feeling inspired about either of those. So I’m “researching” a bit… and reading… and even watching some old movies on TV. And I’m thinking, what on earth do people do when they “retire”? At 66, I feel like I’m just getting started, and yet my vehicle seems to run out of gas more easily lately. So, if you’re reading this and you have a brilliant idea for my next novel, please send it my way. Especially if you know of a historic heroine I could fictionalize. Or something fascinating in the field of art. (One of the two novel ideas I’m considering involves Jackson Pollack and Lee Krasner.) I’m still thinking about Rill, the river gypsy orphan child in Lisa Wingate’s Before We Were Yours, and I’m still wishing I had written that book. She and Mare (my protagonist in Cherry Bomb) could be such good friends. Meanwhile I’ll try to exercise more, eat and drink less, and get plenty of sleep. And hope to hear some brilliant ideas from my readers!